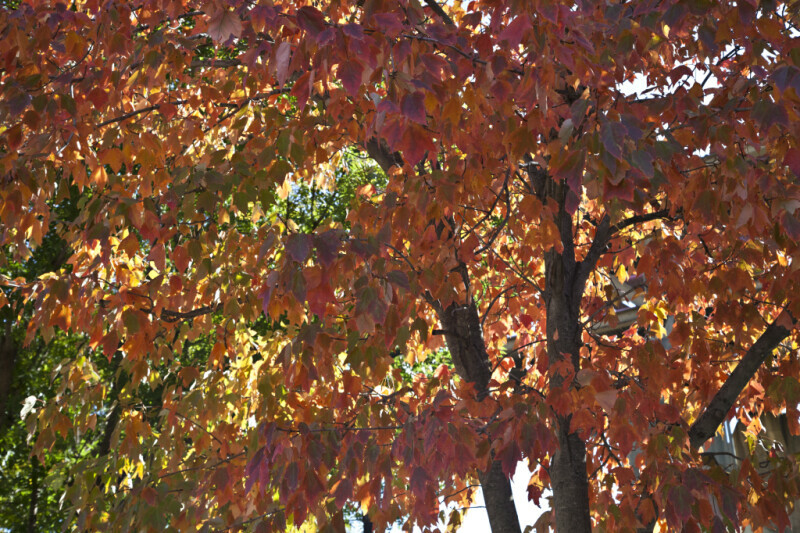 This tree's leaves are turning a reddish-orange color. In the background, there appears to be other trees that are still green. WARNING: You are about to download a 40.1 MB TIFF!